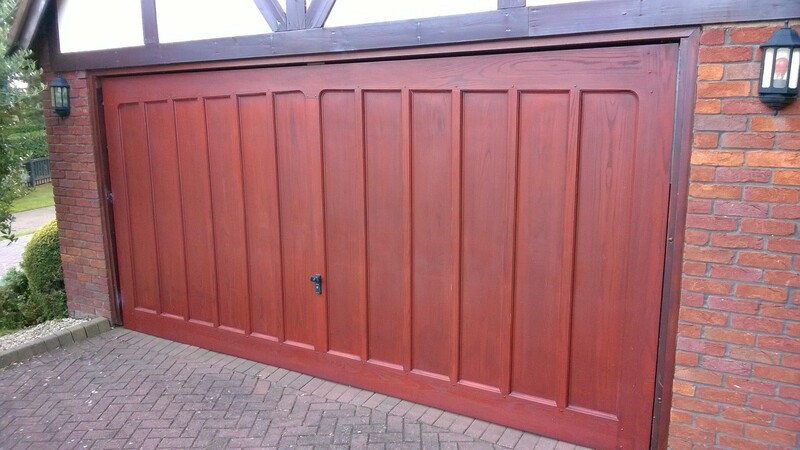 Wessex Garage Door in Mahogany with power automatic opener and two remotes. Please see photograph 4 for full specification. 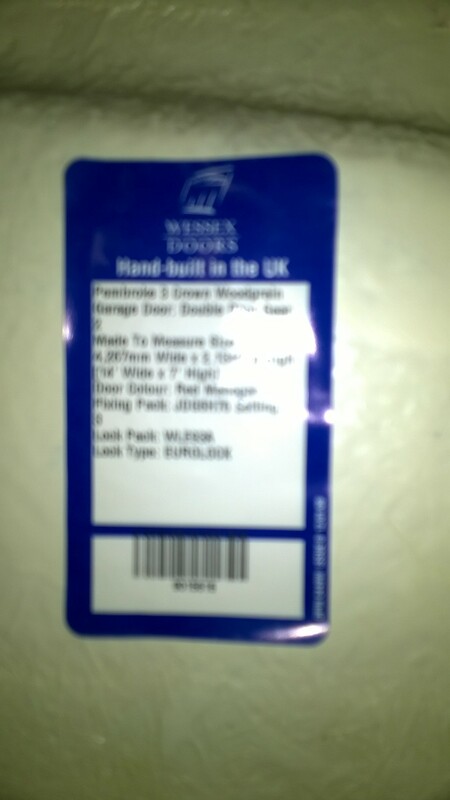 This is a UK HAND BUILT DOOR!!! The door is approx. 5 years old and cost me �1850 when new. There is nothing working with the door, no damage whatsoever. Only selling due to upgrade to a sectional insulated door. I am happy to give you a lift into any van etc. The door has been removed and is ready for collection. The wooden frame is included in the Sale.